Welcome to Colour Naming, an online experiment designed to collect colour names in multiple languages with their corresponding colour ranges. You will be asked to name a series of colour samples and provide information about your cultural background and viewing conditions. You are free to omit any question and you may withdraw at any time without penalty. Participation in this study is strictly anonymous and voluntary. Many individuals find the tasks of this study enjoyable and we believe there are no known risks to participants. The purpose of this research study is to improve colour communication in multilingual environments. Please feel free to contact the principal investigator Dimitris Mylonas or the supervisors Lindsay MacDonald and Lewis Griffin of University College London if you have any questions. If you are 16 years of age or older, understand the statements and freely consent to participate in the study, click on the 'Start' button to begin the experiment. This is a synthetic observer trained by participants’ responses to name each colour in different languages (Mylonas, Stutters, Doval, and MacDonald, 2013). 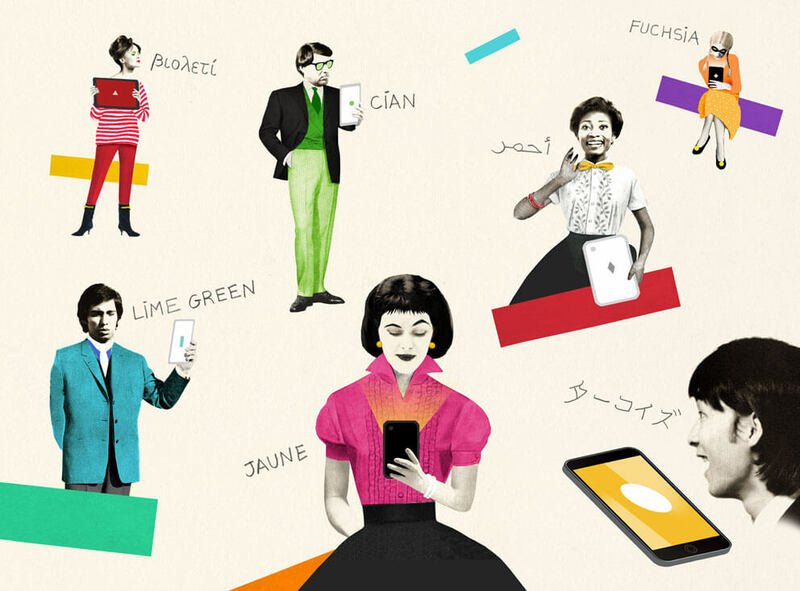 More languages will be added as more data is becoming available. 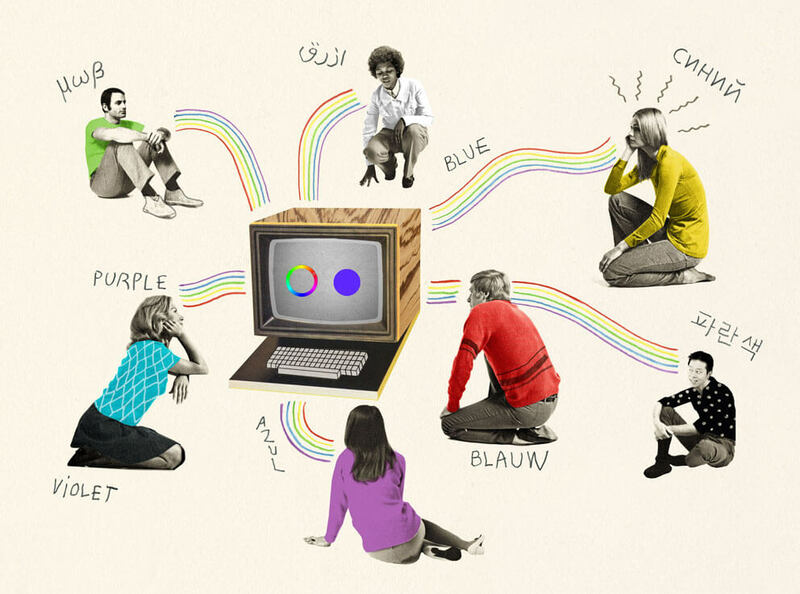 This research aims to develop an online colour naming model to facilitate colour communication within and between cultures. This study has been endorsed by the International Colour Association (AIC) through its Study Group on the Language of Colour. Mylonas, D. (2015). The role of psychological primaries in cognitive colour spaces: a cross cultural colour naming study. Invited talk in Colour Vision Meeting 2015, Colour Group GB, London, UK. MacDonald, L. (2016). Colour Naming: Linking Vision and Speech. Keynote Speech at 3rd International Conference 'Colour, Culture, Science'. Kraków, Poland. Mylonas, D., Andrews, J., Griffin L.D. (2016). Variability in free colour naming across the full colour gamut. In AVA Christmas Meeting, London, UK. Griffin L.D., Mylonas, D. (2016). Why so much talk about “red”? In AVA Christmas Meeting, London, UK. Mylonas D. (2017) Features of GREEN colour categories across languages. Talk at The Colour Green meeting, Northern Chapter, Colour Group GB, Newcastle, UK. Mylonas, D., MacDonald L., Griffin, L.D. (2017). Differences in Color Naming between British and American English Speakers. In 13th AIC Congress, South Korea. Griber Y., Paramei G.V., Mylonas, D. (2017). Gender Differences in Russian Colour Naming. In 13th AIC Congress, South Korea. Ulusoy B., Griffin L.D., Mylonas, D. (2017). Turkish Colour Naming on the Net. In 13th AIC Congress, South Korea. Griber Y., Paramei G., Mylonas D. (2018) Objects as Culture -Specific Referents of Color Terms in Russian. Poster Presentation at the ISCC | AIC Munsell Centennial Color Symposium, June 10-15, Boston, MA, US. Mylonas D. (2018) Colour naming brings people together. Invited workshop at the ISCC | AIC Munsell Centennial Color Symposium, June 10-15, Boston, MA, US. Mylonas D. (2018) Colour naming within and across languages. Invited workshop at the ISCC | AIC Munsell Centennial Color Symposium, June 10-15, Boston, MA, US. Griber Y., Paramei G.V., Mylonas, D. (2018). Edible colour names: Cross-cultural comparison of Russian and English. In AIC Interim Meeting, Oct 25-29, Lisbon, Portugal. Griber Y., Paramei G., Mylonas D. (2018) Objects as Culture-Specific Referents of Color Terms in Russian. Color Research & Application,43,6,958-975, Wiley. Mylonas D., Stockman A., Griffin L.D. (2018) Basic Colour Terms are Indispensable. In AVA 2018 Christmas Meeting, London, UK. Mylonas D., Griffin L.D., Stockman A. (2019) Mapping Colour Names in LMS Cone Excitation Space. Invited talk at Colour Vision Meeting 2019, Colour Group GB, City University, London, UK. Please use the following communication form to give us your feedback and comments or if you wish to inform you about the results of this research.